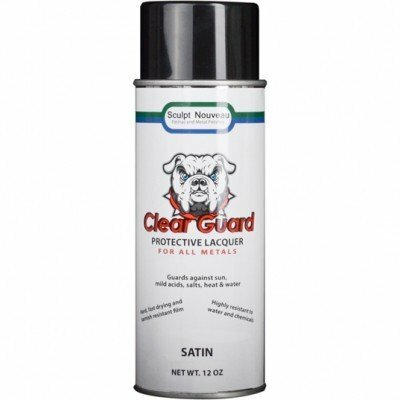 Clear Guard is a crystal clear, durable, air drying lacquer that results in a hard, fast drying, and tarnish resistant film. It has excellent adhesion to bronze, brass, copper, and other metals as well as to patinas and rusted metal. 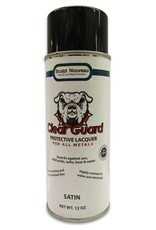 Clear Guard is suitable for use with all types of application equipment. 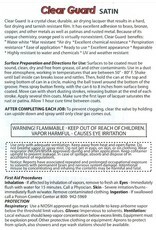 Once thinned, it may be used with sprayers. Because of its unique chemistry, orange peel is virtually non-existent. 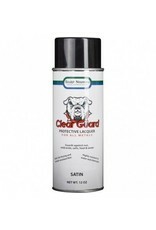 Clear Guard is UV stable and highly resistant to weather, water, and chemical damage. 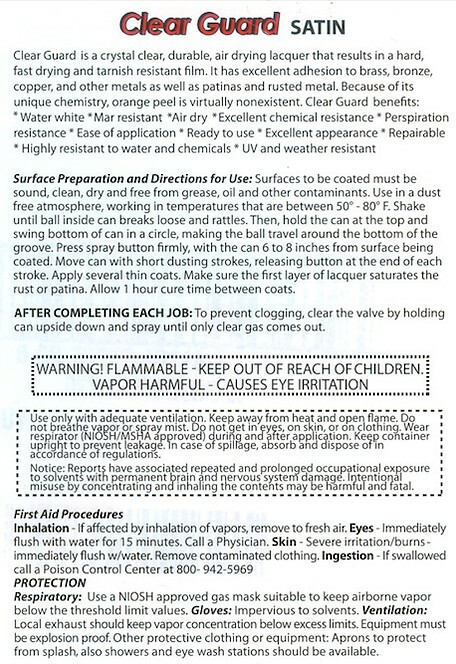 It also resists marring and perspiration better than most solvent lacquers.